Paul seems to hurry through his greeting — verses 1-5 was one sentence! He uses strong words and seems angry about what has happened. Before we get into what he’s angry about, let’s take a look at Paul. He spends a lot of time in this chapter defending his position of authority — his apostolic ministry. It wasn’t only the grace gospel that was under attack; it was Paul’s apostolic ministry that was also being discredited by those who wanted to mix grace with the keeping of Jewish law. Apostle is a translation of the Greek word “apostolos” meaning “apo” — from and “stello — to send; It means compelled to go, commissioned. 2 Cor 5:14-15 — talking about being ambassadors for Christ tells us that it is the love of Christ (that) compels us; because we thus judge, that if one died for all, then were all dead: (15) And that he died for all, that they which live should not henceforth live unto themselves, but unto him which died for them, and rose again. Referring to the act of sending someone on a commission to represent the sender. The revelation of the resurrection of Jesus inspires the commission. Apostle was a term used of a messenger who was provided with the credentials. 2 Cor 12:12 Truly the signs of an apostle were wrought among you in all patience, in signs, and wonders, and mighty deeds. Although Paul is the composer of this letter, he is relating the fact that he is not alone in stating the doctrinal truths that he will portray in this letter. His religious zeal led to the persecuting of those preaching the Gospel of grace. He was in a religious system, like all of the world’s religious systems, that tried to achieve righteousness before God by human effort. Just as in a race, a person might beat an animal to drive it forward and cause it to advance over the others, so Paul was driven by religion beyond many of his age (Acts 22:3). He was superabundantly zealous for the traditions of man. But then he reminds them that who he is now is because of the grace of God unveiling His Son in Him…. the very grace that also unveiled the Son in them. I love v 15-16 in the Passion translation: But then something happened! God called me by his grace; and in love, he chose me from my birth to be his. God’s grace unveiled his Son in me so that I would proclaim the message of “sonship” to the non-Jewish people of the world. Paul realized that the revelation of Christ… the unveiling of the Son in him…. separated him from his natural genealogy (his mother’s womb)… he was a son of God just like the Son… and his message to the Gentiles would be of that same sonship in them. Paul wasn’t even seeking Him…. But Jesus is Light! And light is not a passive quality.… it’s dynamic, explosive. Light desires to shine. He always desires to reveal Himself to men… Even those not searching. Romans 10:20; Isaiah 65:1 — God is always revealing Himself and saying to those in darkness: “Here I am!! Here I am” – which is hineni in Hebrew — it is a way of expressing total readiness to give oneself – it’s an offer of total availability. He didn’t sit under someone’s ministry and just repeat what he’d been taught. He went directly into the desert and was shut up with God for three years (Galatians 1:18). God was his teacher…..this Gospel he preached came straight from God. Verse 17 in the Mirror: This is radical! I deliberately distanced myself from Jerusalem and the disciples of Jesus. I landed up in Arabia before I returned again to Damascus. (The weight of this revelation left me no choice; instead of finding out more about Christ in history, I desire to discover him more in me! In verse 20, Paul wanted to strengthen the points of his letter by stating before God that he was not lying, but apparently, someone was lying to the Galatians. Paul made it very clear in this letter that the legalistic Jews, who taught that an individual had to keep the Law of Moses to be saved, were the ones who were deceiving the Galatians. His Jewish name Saul and his Roman name was Paul which he began using for the first time in Acts 13:9. What was it that made Paul so emotional? What had happened that caused him to feel the need to defend his apostleship… his authority? They made it their business to visit and unsettle and trouble Gentile Churches. They were simply determined to stamp Christ with the Jewish trademark. Against this, Paul stood adamant. Throughout history, people have “added on” various requirements to the gospel, almost always with an appeal to Scripture. The crime of the Judaizers was not that they substituted something for Christ’s work, but rather they tried to add something to it. To the Judaizers, Christianity could only be understood in terms of the Old Covenant. So Christianity was faced with a problem: What has the new to do with the old? Paul states that they have mistaken the actual nature of the Law. Without a proper understanding of what the Gospel is it will be difficult for us to live this life abundantly as He promised and to share this “good news”…. this goodness of God… with others effectively. This Gospel of Grace has given us new lives, and if we don’t know what that looks through God’s eyes, we will struggle in this life, and we won’t know what to do with Scriptures in the Old Testament (law). 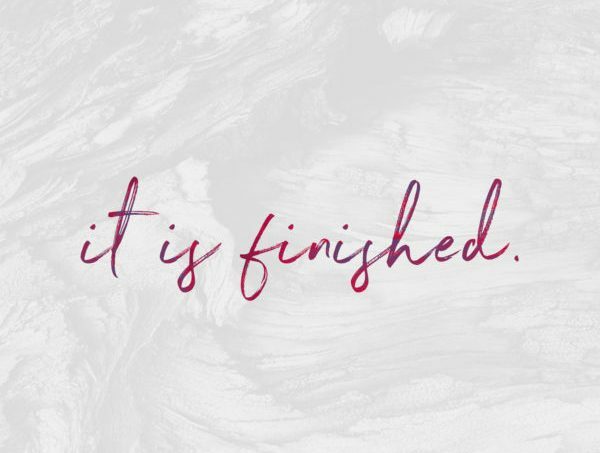 Rather than just resting in the finished work of the Cross, Resurrection, and Ascension. But legalism is still active today…. David H Stern (writer of the Complete Jewish Bible) has a good definition of legalism: the false principle that God grants acceptance to people, considers them righteous and worthy of being in his presence, on the ground of their obedience to a set of rules, apart from putting their trust in God, relying on him, loving him, and accepting his love for them. It’s not based on your obedience but on Christ’s. His obedience is your obedience. Paul told them that by turning to this “gospel,” which was no gospel at all, they were turning away from Christ and from living in His grace. So….what does this Gospel of grace look like? We’ll cover that next week!